The primary purpose of using VPN or Proxy Server is to make a secure connection over the internet by hiding your IP address or to prevent the users from hackers. So if you are using VPN or Proxy Servers then hackers can't track your IP address and you can surf the internet securely. You can also surf the websites which are blocked in your country as well using VPN or Proxy Server. So if you are security conscious then don't wait and install VPN or Proxy Server at your workplace. 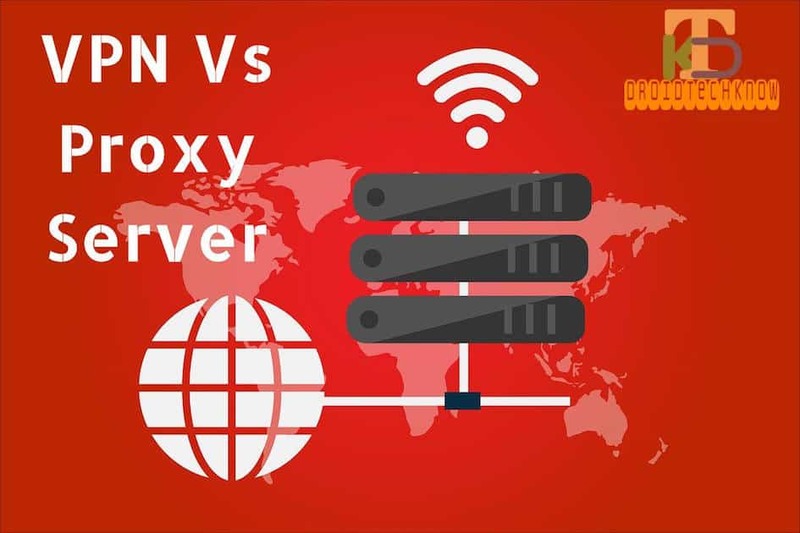 Now the question arises what is the difference between VPN and proxy server if both have the same functionality and which one is better to use? VPN and proxy server share the same functionality, However, both of them shares quite a few differences in between as well. So let's discuss these in differences. VPN stands for virtual private network. VPN creates a virtual encrypted tunnel between the user computer and host server(internet). Each packet sent by the user is first encrypted over the VPN server to protect it from hackers. So if you connected to VPN then all of your internet traffic route through the VPN server. VPN creates a virtual tunnel because of this your ISP also not see inside the VPN but they know that you are connected to a VPN. This means you are safe from attackers because no one can see your VPN traffic. A Proxy server is a computer which behaves as an intermediate between the user computer to host computer(internet). All of your internet traffic route through that intermediate computer. This intermediate computer hides the user IP address and uses anonymous Id for surfing the internet. So no one can steal your information because the packet that was sent is not aware of your IP address. VPN provides encryption, authentication and integrity protection to the traffic. It does not create any tunnel. As we know proxy sends all of the traffic through a proxy server without encryption by assigning the Proxy server IP address. This means you can surf the internet anonymously but the proxy owner has your data. On the other hand, VPN provides encryption due to this no one can access your real data. VPN is more expensive and more complex then Proxy. So If you want full control over your security then I should be recommended to choose VPN over Proxy server.